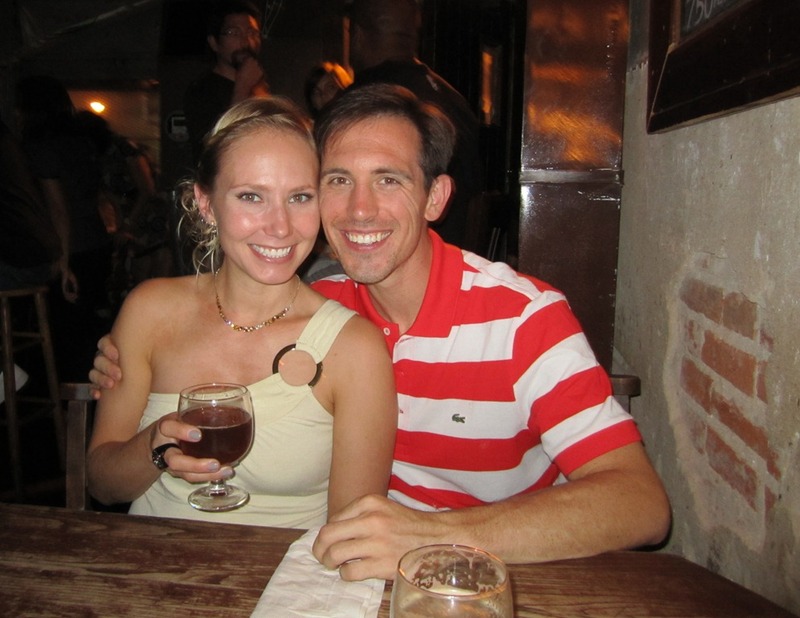 Friday night, not much was going on, so Jack and I went out for dinner and drinks to Granville Moore’s on H St in DC. I like how the bartender warned me ahead of time that it wouldn’t be sweet. 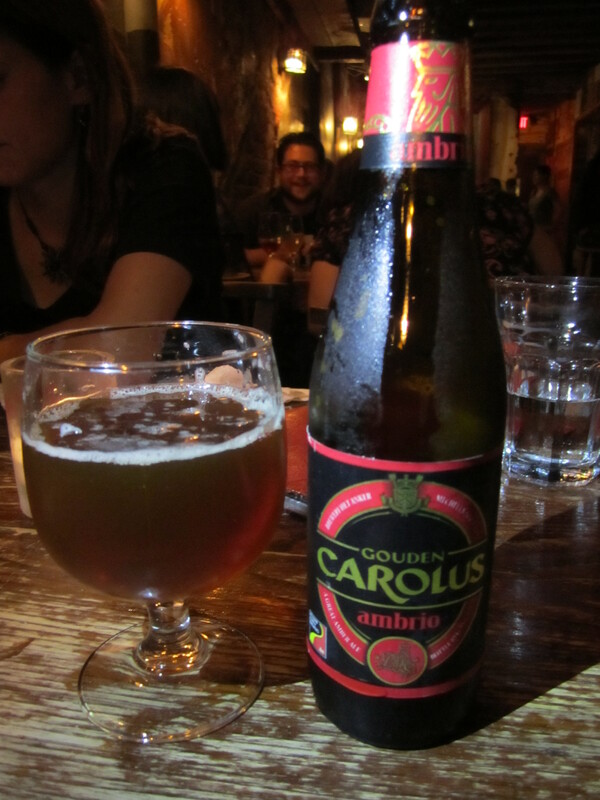 I’ve had this beer before so I was prepared, but it is usually located in beer menus under the lambic section and people (usually women) choose lambics because they will be sweet. 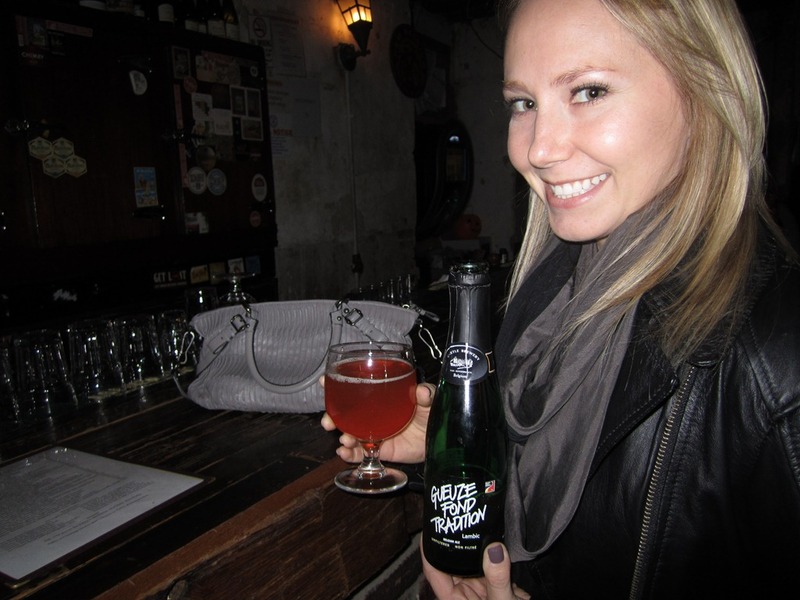 But I love tart and sour beers and this one is pretty funky! Tart and dry, almost mouthwatering. Also, very carbonated, but it works well because it is so sour. Lemony and apple cider vinegary. Very unusual, definitely a beer to try if you want something different! With dinner we decided to split the Ommegang Seduction by Brewery Ommegang of Cooperstown, NY at 6.8% abv. Strong malty character, very dark chocolate, almost dry and bitter. After the first couple of sips you start to notice something else, a hint of cherries! This was a well-done chocolate beer, but not my favorite, definitely worth a try! 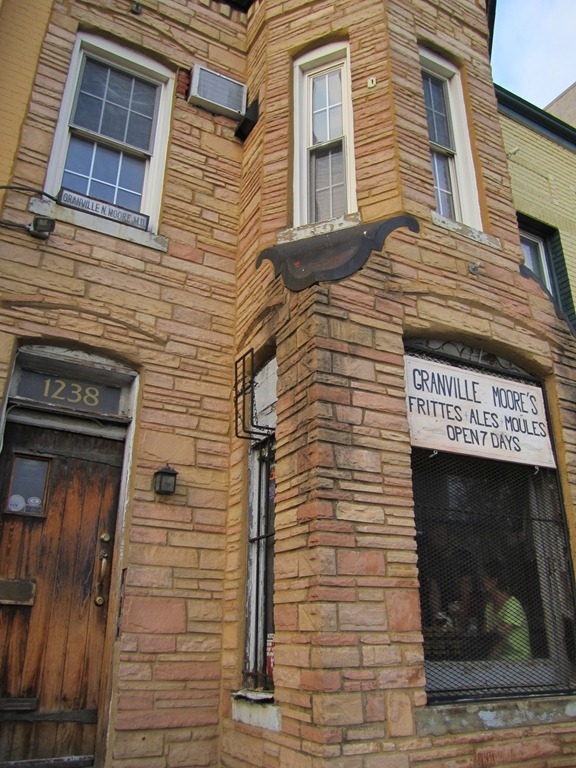 I cant wait to go back to Granville Moore’s. It’s the inside that I love, if I lived closer I would definitely be a regular there. I love the exposed walls, the heavy dark wood bar and tables, wooden chairs that used to be in a church, and a good bartender with awesome beer stories! Makes for a fantastic night of sipping stellar beers! Yesterday we helped Liz move, actually it was only a bed and a desk, and Jack did all the heavy lifting. 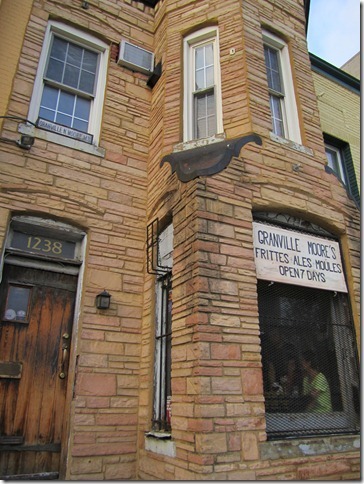 When we were done we headed out to Granville Moore’s! 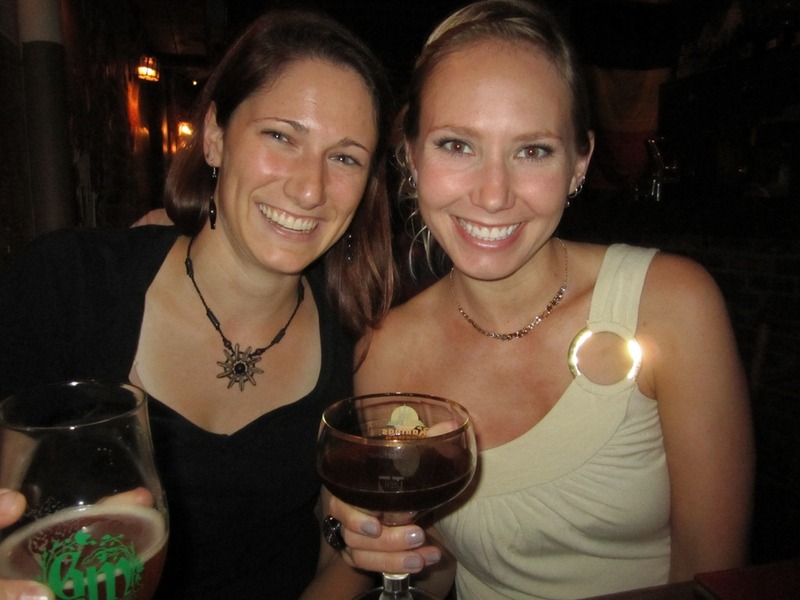 I’ve heard that this place has a great Belgian selection, and have been trying to convince people to go there with me. Just the outside of the building looks promising! The inside was awesome too! Lots of wood, exposed brick, heavy wooden ceiling beams, old antique wooden ice boxes. Nice atmosphere! 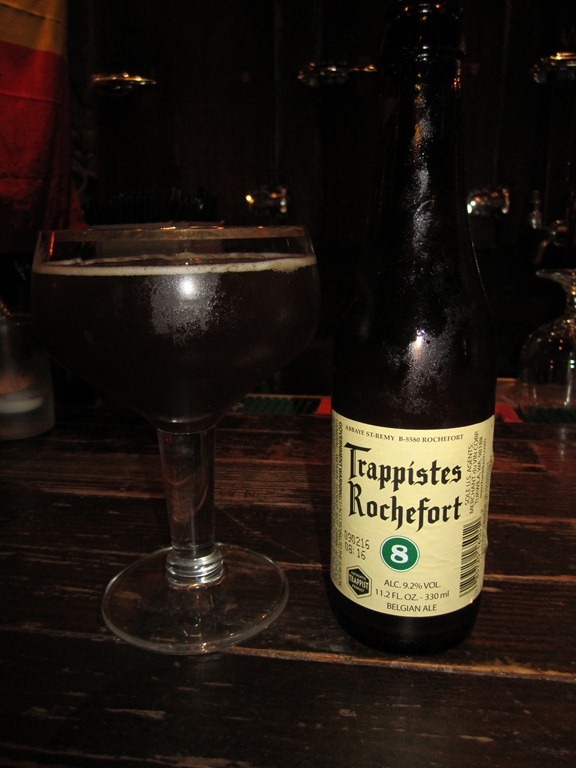 We chilled at the bar till we got a table and I ordered the Rochefort 8! Finally! haha the last 3 or 4 times I’ve tried to order it, not here, but in any bar, they have been out, win! This bar was wonderful and dark, even with the flash on I didn’t get that good of a picture of the beer. (served in a Koningshoven glass) Poured deliciously dark brown, cloudy and murky. Sweet malts, dark fruits, plums and raisins. Pretty smooth and not as boozy as I would have imagined considering its 9.2% abv. The carbonation was good, it felt light and easy to drink. Finally, we got a table, got our food, and dug in! Anyway it poured a very pretty, light amber brown. Sweet and estery, I felt that the alcohol was more apparent in this beer. Somewhat dry finish. When we were done Liz suggested pie! We walked down to Dangerously Delicious and Jack and I split the coconut chess pie! Toasted coconut with a creamy tangy buttermilk custard! Served hot, so good!